HP wants to be the ideal hardware solution for a workplace, and to fulfil that mission, the company has launched a series of new collaboration tools, and a new business PC lineup. 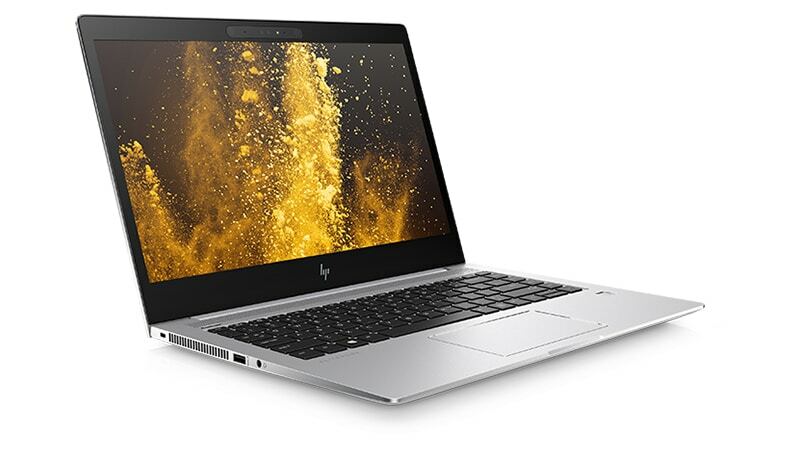 On the PC front, HP launched new laptops in the HP Elite 1000 Series family which includes the HP EliteBook x360 1020 G2 convertible, the HP EliteBook 1040 G4 notebook, and HP EliteOne 1000 AIO. It also outlined a number of collaboration tools like the HP Elite Presenter Mouse, the Sprout Pro by HP G2, HP ShareBoard, and two conferencing displays as well. All of the new products in the HP Elite 1000 Series run on Windows 10 Pro, come with built-in collaboration keys to easily manage calls at the touch of a button, Skype for Business certifications, Audio by Bang & Olufsen, HP Audio Boost, and HP Noise Cancellation for optimized audio and video calls. It also comes with HP PhoneWise that lets you text and call from the PC across iOS and Android devices. These devices also feature HP Sure View integrated privacy screen, HP Sure Start, HP Sure Click, Windows Hello, and HP Multi-Factor Authenticate with Intel Authenticate. Starting with the HP EliteBook x360 1020 G2, it is a 13.9mm thin durable convertible with a 12.5-inch UHD 700-nit display. It has two USB Type-C, one HDMI port, and a 360-degree hinge for converting it into a tablet, or propping it up in tent mode. It comes with five speakers tuned with Audio by Bang & Olufsen, and has support for the HP Active Pen. The keyboard has fingerprint scanning support, and the convertible is powered by Intel’s seventh generation Core i7 processors. It runs on Windows 10 Pro, has passed the MIL-STD 810G testing for durability, and supports fast charging as well. It also comes with HP PhoneWise that lets you respond to calls and texts through the PC. The HP EliteBook x360 1020 G2 is expected to be available sometime this month for a starting price of $1,379 (roughly Rs. 88,200). The HP EliteBook 1040 G4 is a 15.95mm slim notebook with a 14-inch UHD display, powered by up to Intel’s seventh generation Core i7 quad-core processors, support for up to 16GB RAM, optional WWAN, and comes with a long battery life (up to 18 hours). It gives you the option to integrate the GPU Omen by HP Accelerator to transform it into a mean gaming machine as well. It also runs on Windows 10 Pro, has support for HP PhoneWise, and has passed MIL-STD 810G testing. The HP EliteBook 1040 G4 is expected to be available in October for a starting price of $1,379 (roughly Rs. 88,200). The HP EliteOne 1000 All-In-One G1 PC features a 2-megapixel dual-facing pop-up webcam for video conferencing. This AIO comes with three display options – a 23.8-inch FHD, 27-inch 4K display, and a 34-inch diagonal curved display. It is powered by up to 7th Gen Intel Core i7 65W processors and optional Intel Optane memory. It also runs on Windows 10 Pro, and comes with support for Audio by Bang & Olufsen, HP Audio Boost, HP PhoneWise, and HP Noise Cancellation. The HP EliteOne 1000 All-In-One G1 PC is expected to be available sometime this month for a starting price of $1,259 (roughly Rs. 80,500). As mentioned, HP also launched collaboration tools like the Sprout Pro by HP G2, which is essentially a dedicated digital inking space to sketch and annotate, and a downward-facing camera to share or digitise real-world objects. There’s also the HP ShareBoard which offers real-time feed of dry-erase board activity to remote participants, along with a digital capture that can be easily shared following a meeting. The new HP Elite Presenter Mouse is able to use a real-time virtual pointer to highlight onscreen content in the meeting space and on viewer’s screens. 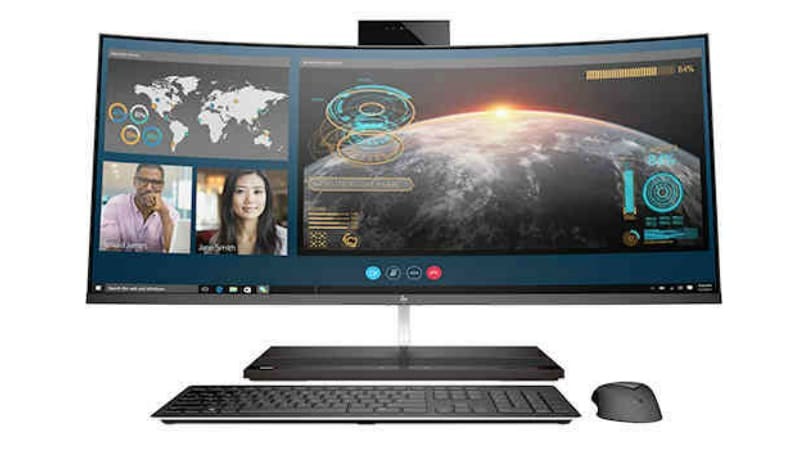 The HP EliteDisplay E243m Conferencing Monitor and the 55-inch HP LD5512 4K displays were also launched, and they come with Skype for Business support, high-quality sound from Audio by Bang & Olufsen, built-in microphone, and collaboration keys to control calls. These HP collaboration solutions are expected to be available starting in December.